Our East Midlands Salon at 7 PM on Wednesday 6 December in the Brunswick Inn, Derby, will be a festive BALLOON DEBATE at which eight Salon members will defend what they each think is the greatest work of philosophy. They will have just an initial three minutes to make their case before answering questions from the audience in defence of their choice. There will then be a vote and four of the balloonists will be thrown off the metaphorical balloon. 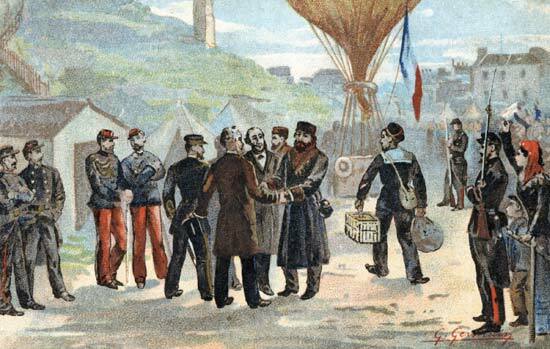 The remaining balloonists will then have just one minute to argue for their chosen work. There will then be a vote and three of the balloonists will be thrown overboard. The victor will then be allowed to sail away into the metaphorical sky with a suitable prize! Come along and join in the philosophical fun. Admission is free but please register in advance as places are limited. Tickets are available now on Eventbrite. ← Groupthink: do East Midlands universities put conforming before criticism?